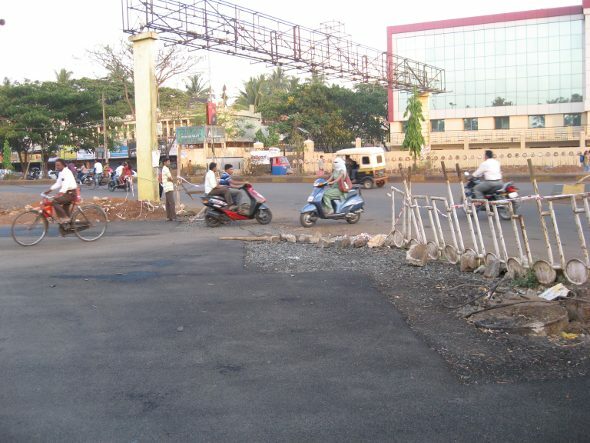 The Basveshwar Circle (Govaves) needs a urgent realignment to stop the chaos at the circle as the new road connecting to Mhatama Phule road which is 120 feet wide is now ready and already connected to the circle but not officially opened. As the new road is wide and connects the current circle almost in the center a complete realignment of the circle is needed for smooth flow of traffic. Also there should be footpaths made along the new LIC building and also next to the Garden. 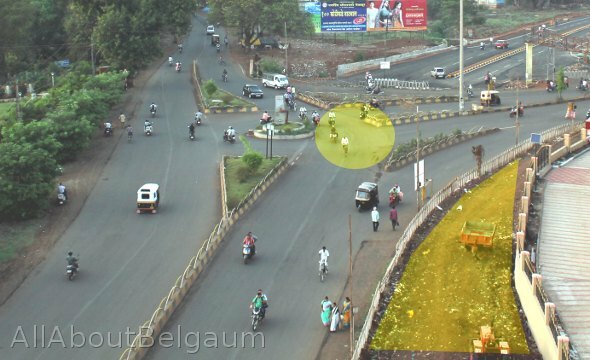 New traffic signals are being installed at various places in the city and this is the best time to make changes to this circle. The traffic police should seek professional help from experts and realign the circle. One needs to Relax!!! (road is not open yet) If they have done a road, they will plan a proper circle! Sorry this is just out of the contacts,today afternoon i was watching TV on Sahara Mumbai news i saw there is protest going on in Azad Maidan by some belgaumies against Karanataka Gov. Do you have any update on this?As per the news reader alll the parties were supprting them Rulling an d opposition including Cabinet Speaker.